31 May 2017, Munich, Germany – Huawei today announces the launch of Huawei FusionHome Smart Energy Solution for the European residential market. Unveiled at Intersolar 2017, Munich, Huawei FusionHome combines smart PV hardware and intelligent monitoring software with the connected technologies of the modern home. 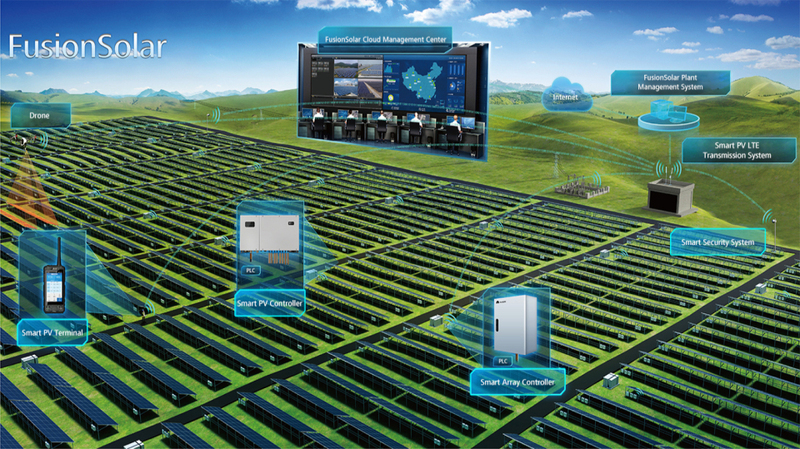 This combined solution enables customers to effectively manage their power consumption and maximize energy yields, delivering smarter energy for a better life. Providing a Smart PV solution that is suitable for all rooftop layouts, Huawei FusionHome has the flexibility to meet the range of customer requirements across the residential market. Huawei FusionHome Smart PV Optimizers can maximize space utilization on the most complex of rooftops, enabling modules to be installed in shade-prone areas, in various directions, and the use of different module types within one string, resulting in increased energy yields ranging from 5-30%. Through the use of more silicon and less copper and Huawei-patented 5-level topology, Huawei FusionHome increases inverter efficiency up to 98.6%, setting a new industry benchmark. More precise power conversion and control technology, such as the intelligent multiple-level topology, makes the AC output waves smoother and significantly increases the output and efficiency of users’ home energy systems. Inside the home, Huawei’s FusionHome Smart Energy Center is capable of communicating with intelligent home appliances, controlling information and energy flows to maximize the amount of solar power used. The integrated, plug & play, DC-coupling, energy storage interface allows for easy access and the flexibility to add batteries anytime, removing the need for users to invest in energy storage systems from the outset while costs remain high. Users can conveniently monitor their systems on a PC or smartphone in real time. The Smart Power Sensor shows the available power at any given time and how best to use it, factoring in weather conditions and electricity pricing. When lower cost electricity is available on the market Huawei FusionHome can switch grids automatically, using this time to recharge storage batteries, thereby minimizing energy costs. Huawei’s FusionHome Smart Energy Solution has been designed to simplify the user experience, with a one-tap start-up feature that improves start-up efficiency by more than 50%. Remote software upgrades, replacement services, remote and visualized module-level management, including I-V diagnosis can all be performed with just one press of a button. This enables 17 types of PV module faults to be detected remotely, removing the need for on-site inspections, significantly reducing O&M costs. By synchronising information and energy flows, Huawei FusionHome delivers value for the customer and a smart, simple and safe1 home experience. In summary, smarter energy for a better life.